Over the past month and a half I have been away just about every weekend, this coupled with my day-job at UKClimbing and the BMC Alpine Essentials Lectures I’ve been giving throughout the evenings haven’t left me with much time for writing. They have, however, left me with a lot of photographs so here’s a few highlights – enjoy! Yellow Pearls (E5 6b) at Trevellan, definitely not a gritstone slab… This was the first pumpy route I’d got on all year and it would suffice to say that my arms wilted under the pressure. My ability to pull upwards was better than ever owing to the winters bouldering, but hanging around to place gear was testing to say the least. A couple of falls later and I was at the top – what a way to start the year! 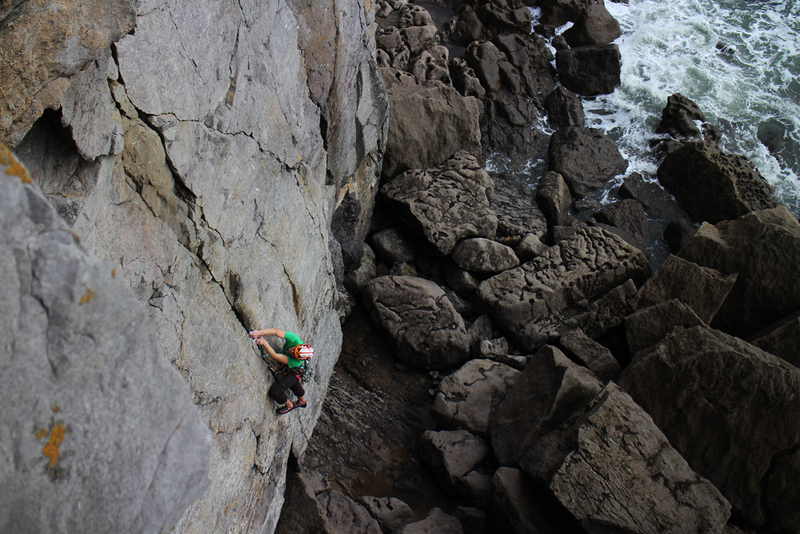 Another weekend back in Pembroke I ended up at Mother Carey’s with visiting German climbers Benno and Sebastien. They headed straight for the steepest rock they could find and did the classic E5 Just Klingon. 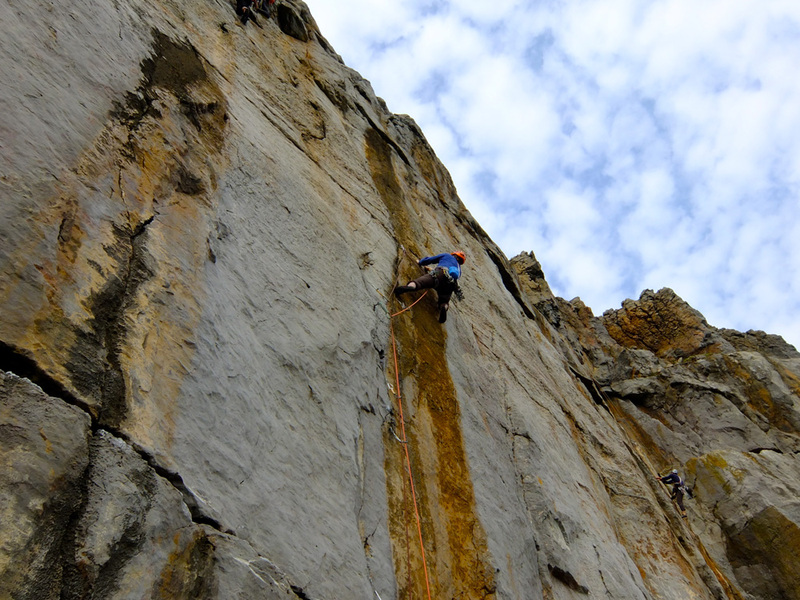 As always, great to climb with foreign climbers that are highly motivated for the trad! After climbing on the Space Face we headed around the corner to the neighbouring – and less frequented – Blind Bay, home of The One Eyed Man (E5 6a). 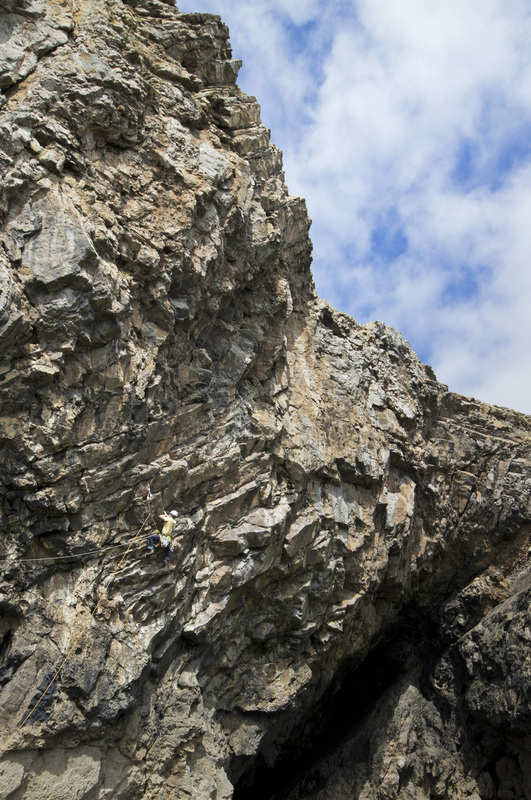 This route ticked just about every box: wild, adventurous, pumpy and committing. 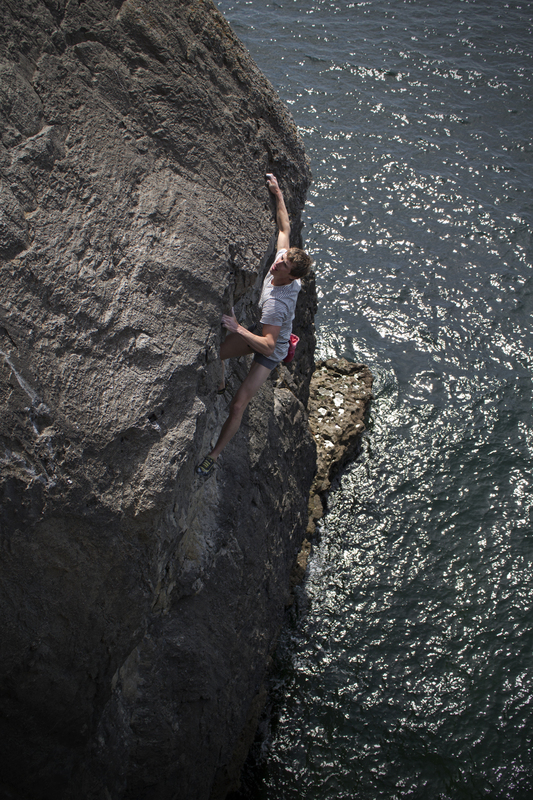 The concept of deep water soloing this greatly excites me, but I’m glad I did it with a rope – wouldn’t want to get too excited after all. Somehow I had never visited St. Govans East until very recently. With the conditions experienced that weekend it was the perfect venue as it was out the wind and got the morning sun. Whilst many others were climbing in jackets, we were lapping it up in shorts and t-shirts. Here we did Brave New World (E4 6a/pictured above), Imagination (E4 6a), Forbidden Fruits (E3 5c) and First Blood (E2 5c) – all absolute classics. Due to a last minute change in weather we made the decision to head to Swanage last weekend (and not Pembroke as planned). 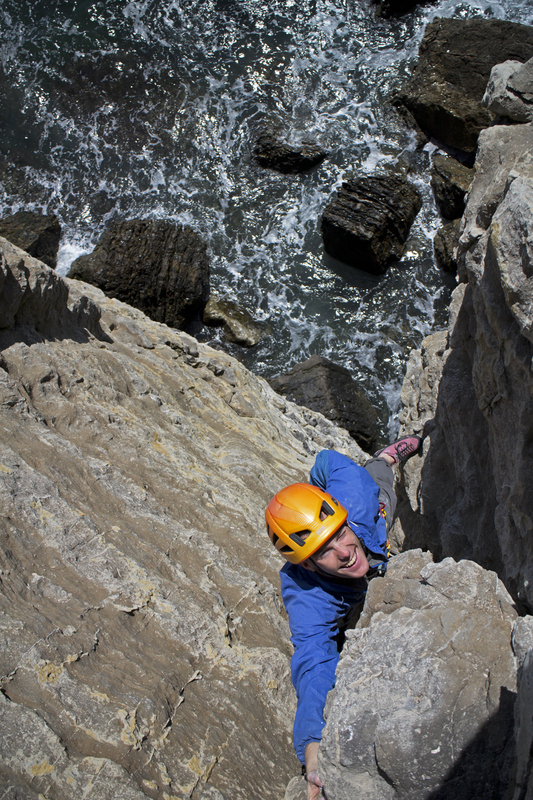 For those that haven’t been Swanage offers a something a little different, at first everything feels totally out there due to the abundance of loose rock and dusty top-outs, then…well…actually it continues to feel like that, you just get a little more used to it! 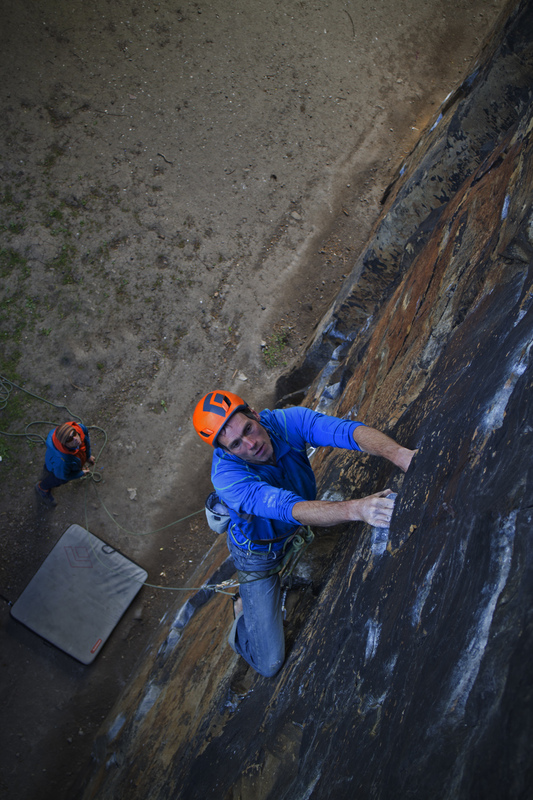 Here Duncan Campbell wrangles his way up the mind boggling 5a pitch of the ‘benchmark HVS’ – Jo. It was a bit early for testing the deep water – which looked freezing – but doing a spot of deep water soloing without falling was great (although maybe this is just soloing?). Here Mal Scott climbs Freeborn Man (6c), much to the amazement of the onlookers who were clearly hoping to see some airtime. 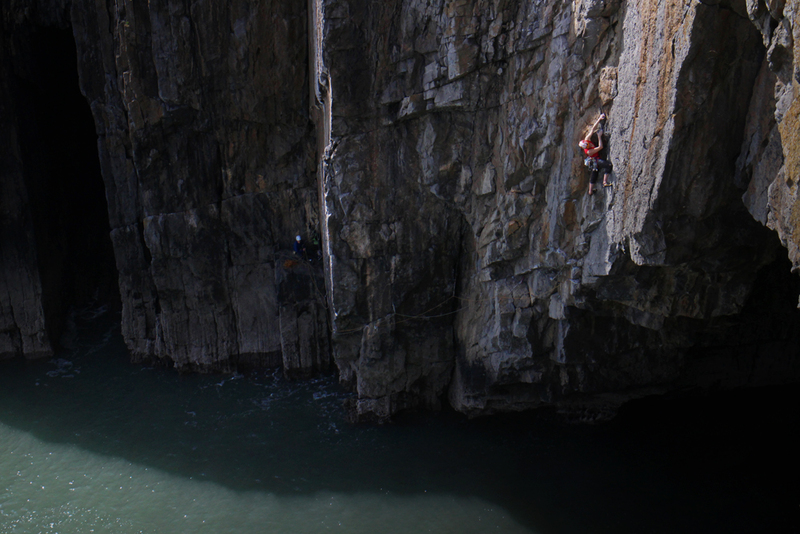 This week I have been travelling around the UK with British Mountain Guide and North Wales resident Tim Neill. 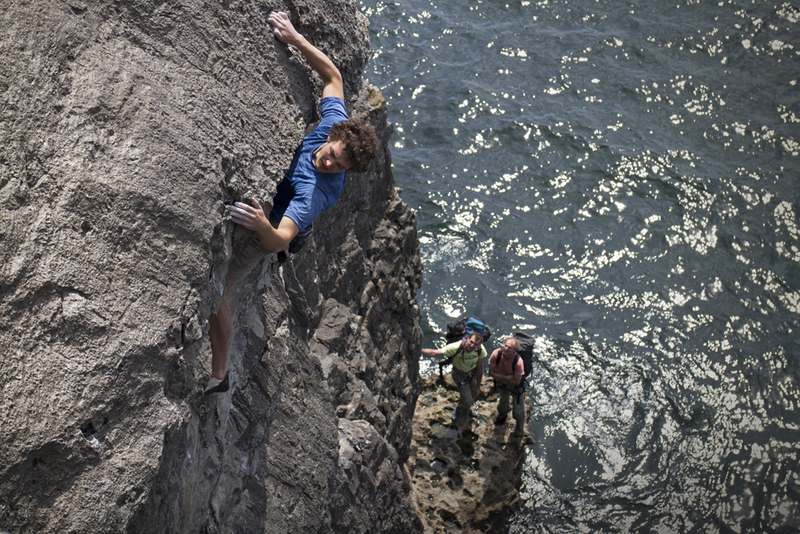 In the picture above he is on the New Mills Tor classic Bionics Wall (E4 6a). I was quite surprised by this little venue, whilst being urban is has a certain charm about it – I’ll definitely be back. 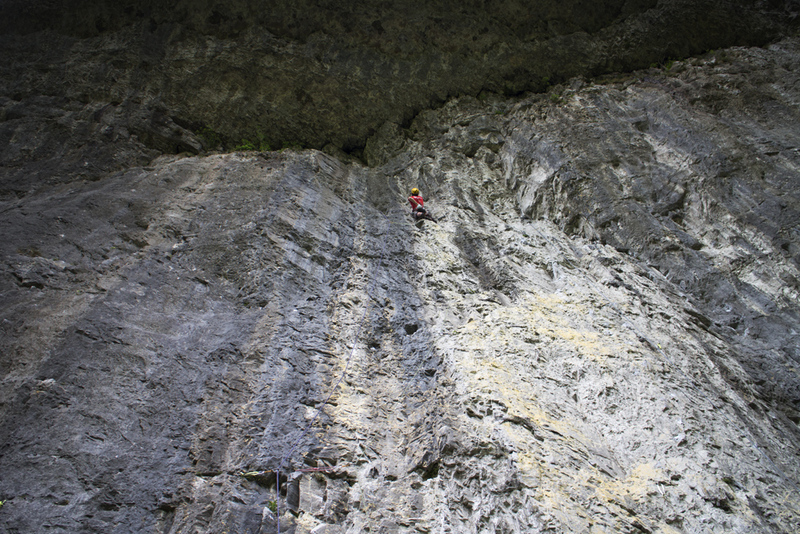 Finally, my 90th route in Extreme Rock – Deja Vu (E5 6b) at Kilnsey.